here's what Scion says it can not be done. 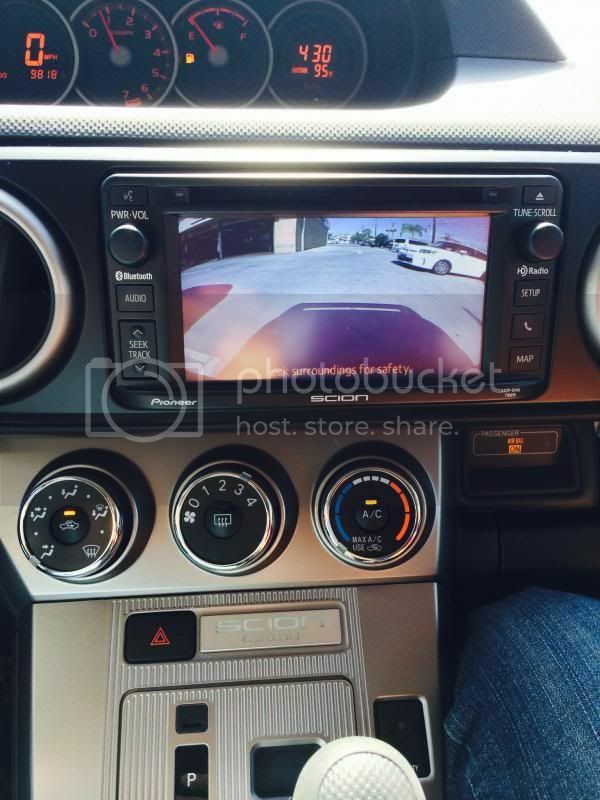 Rear camera on scion 10 series. Hey! I'm from San Dimas. I almost bought my 2014 xB from there but the price didn't work for me. May I ask how much your whole backup camera and installation cost you? Did you have Scion of Glendora install it for you? 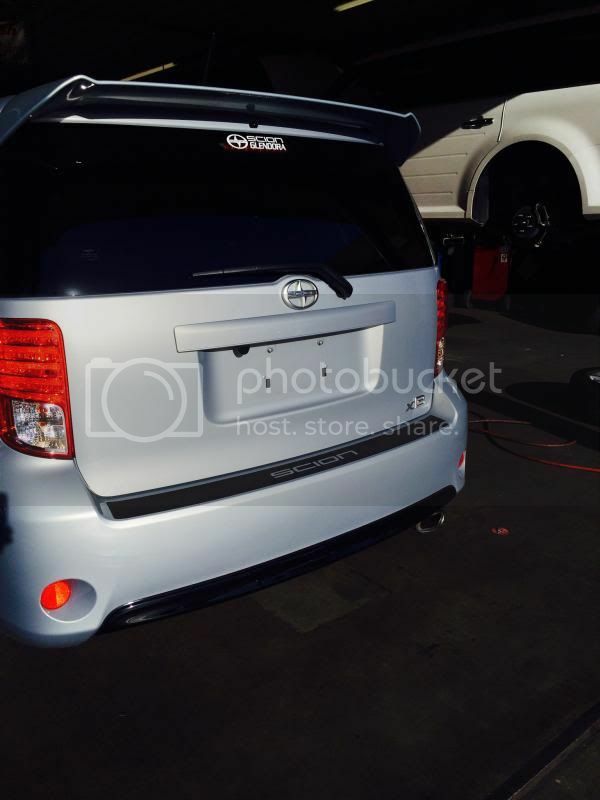 Yes Scion of Glendora did the install it cost me $395 plus tax. Too bad the price didn't work out for you. We have repriced all Scion $1500 off MSRP. Anyone used either of these kits? Would welcome any advice. How did you run the cable from the camera into the rear hatch? Drilling through the hatch would be a rust/water problem, I'm trying to find a way to do it. The license plate lamps I was going to drill and run the cable through there. I bought a rear camera on eBay for $10 and it's really good, but I have yet to wire it to the head unit. "12V 170° Mini Color CCD Reverse Backup Car Front Rear View Camera Night Vision"
Due to the holidays I've not finished the install, but I did run the camera video wire up through the rubber grommet that Scion uses at the top of the hatch for all the other hatch wiring. Took a while to get the RCA plug worked through the rubber, but wasn't too bad over all & once the RCA plug is through the actual wire is small enough it's not an issue at all. Then I ran the wire, in side the headliner, over to the left C pillar & down, then forward along the door sills to the dash - so far so good. Rest will follow as soon as I get time & decent enough weather to work on it. This is one of the best updates I have done to the xB. thank you in advance happy holidays. Last edited by MR_LUV; 10-24-2017 at 11:58 AM. 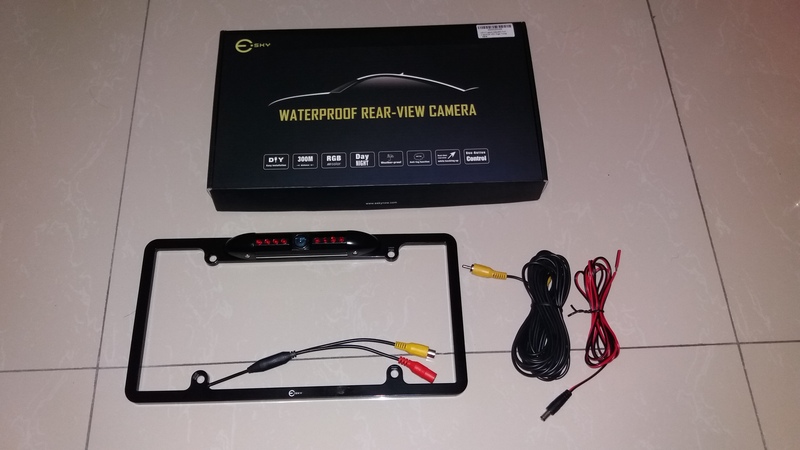 Hello everyone, i just want to know how to install backup camera to my tC14..thank you in advance! Last edited by MR_LUV; 10-24-2017 at 11:50 AM. Added the rear camera to my 2014. Being I worked at Mercedes-Benz of Tampa, I took my Scion to a sister Toyota dealership and had the option (parts & install) added there. Wonderful addition. differences between 09 and current (14-15) xB? Radio changes when shifted into park.